I began the design process by brainstorming several directions for the brand. From these directions, I developed several moodboards. Working closely with the Creative Manager and Graphic Design team through critiques, I rendered first thumbnail sketches, then several rounds of high fidelity vector logo options. 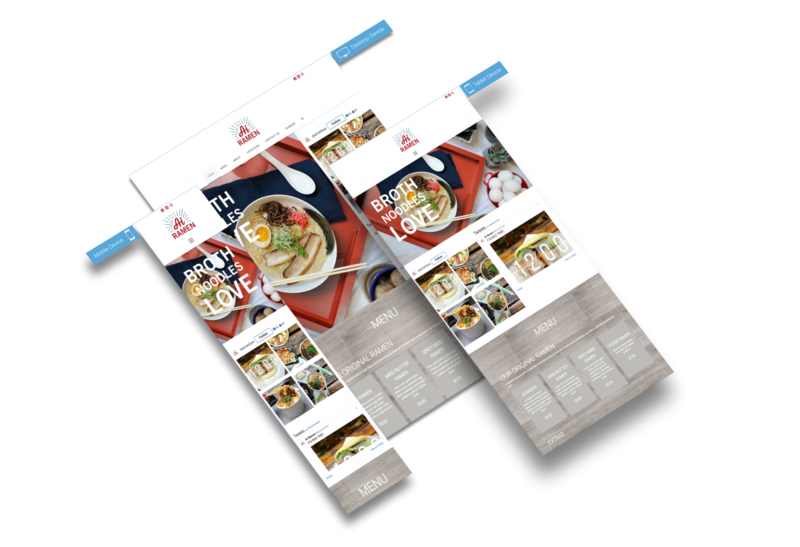 Final options were presented to the CEO and signed off to be used in restaurant collateral. 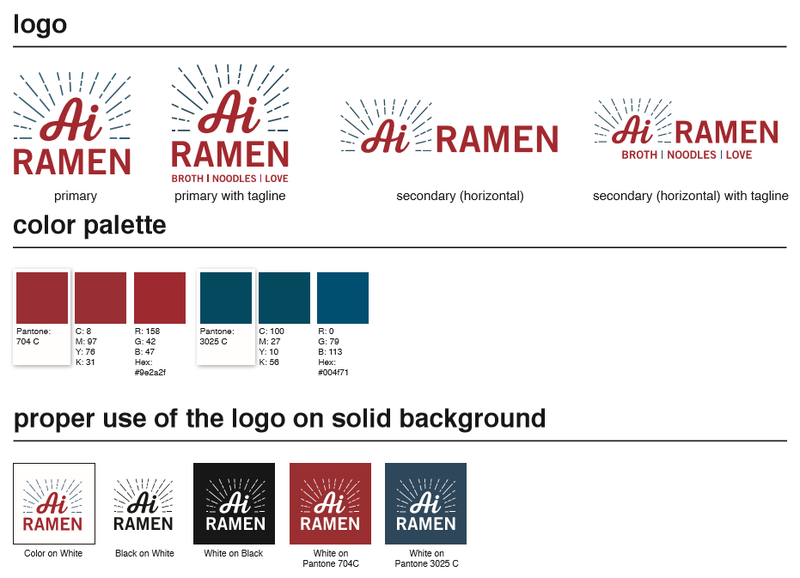 After finalizing the logo, I applied the Ai Ramen look and feel to venue renderings used by the architects, digital signage, and the Ai Ramen website. 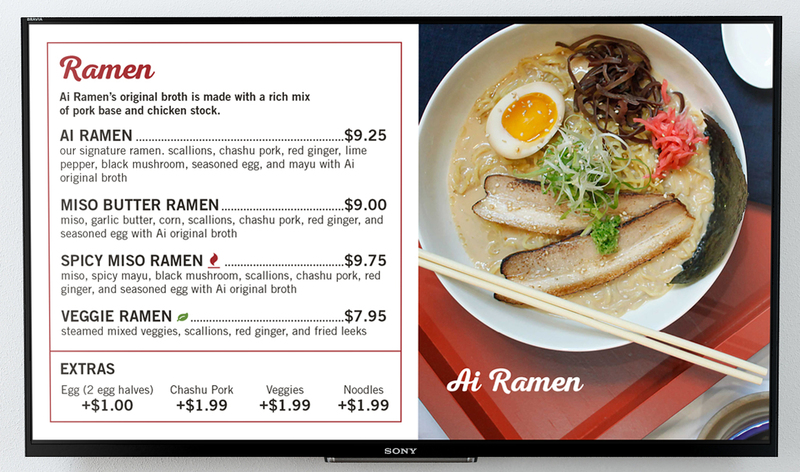 My team members also used the brand guidelines and standards to create printed menu flyers and additional venue signage.